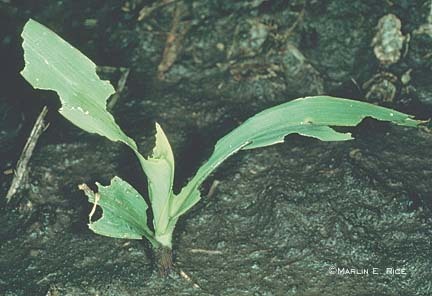 Leaf feeding from dingy or black cutworm. Iowa State University Entomology Department. Last modified September 13, 2000 by John VanDyk.